Yesterday [March 23], at about 5 p.m., my wife was hit on the head by a flying hockey puck. Let me give you the details. She was a passenger in a car beside the driver picking up her one-year-old grandson from the daycare centre on the hill behind Arctic College. Her daughter was sitting behind her, and the child was in his car seat behind his dad, the driver. Kids were playing hockey in the area. The puck smashed through the passenger window, shattering the glass and hitting my wife on the head. There were particles of glass on her face, which included the corner of her eye. If she had not been there, the trajectory of the puck was such that it would have broken the glass and smashed into the one-year-old’s face. I don’t know who would be responsible for dealing with that area—the college, the city, or the police. But the solution is obvious. The daycare is in the eastern end of the student residences. There is ample space at the western end for a street hockey area. An occasional police presence as children leave the centre would be a good idea. Email your letters to editor@nunatsiaq.com. Nunatsiaq News welcomes letters to the editor. But we are under no obligation to publish any given letter at any given time. In our print edition, we usually print letters on a first-come, first-served, space-available basis. In our online edition, we usually print letters as soon as we are able to prepare them for publication. All letters are edited for length, grammar, punctuation, spelling, taste and libel. You may withhold your name by request, but we must know who you are before we publish your letter. 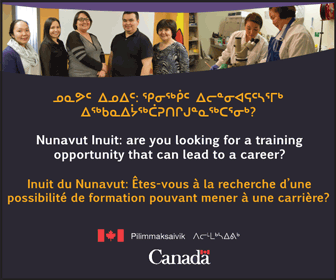 The City of Iqaluit is Recruiting! 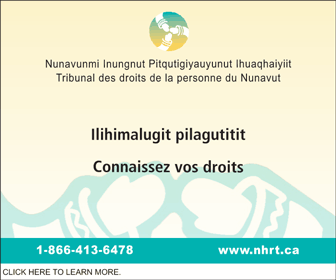 Copyright © 1995-2019 Nortext Publishing Corporation (Iqaluit) and may not be reprinted for commercial publication in print, or any other media, without the permission of the publisher.